The Khoroni Resort in Thohoyandou recently upgraded their mobile PA systems and the Electro-Voice Evolve 50 was their choice of speaker. 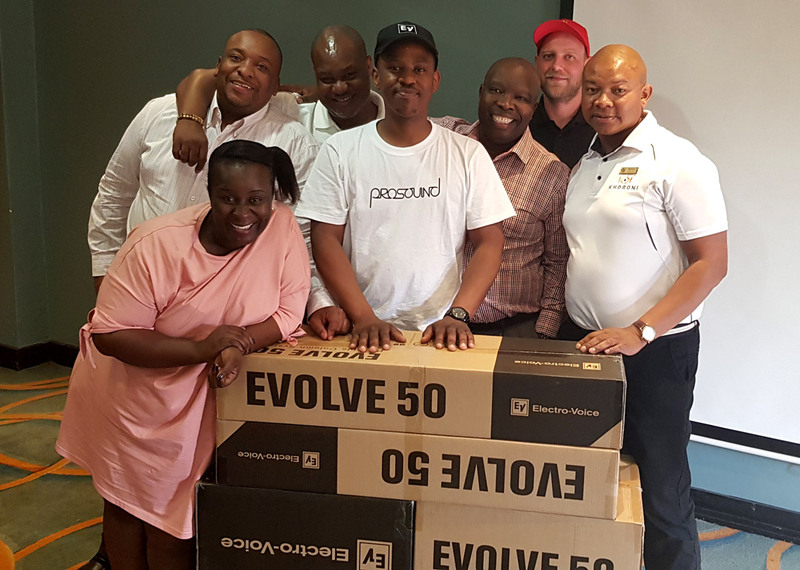 Pepe Khumalo met with the resort management team and did a demo of the Evolve 50s, to highlight its superior quality sound, functionality and ease of use. There was no hesitation from the Khoroni Resort decision makers, and they ordered Evolves on the spot. Prosound delivered the system to the resort in the Limpopo Province, and handed it over to the AV staff. They were very, very pleased.